an architecture: Bierpinsel - Turmkunst. 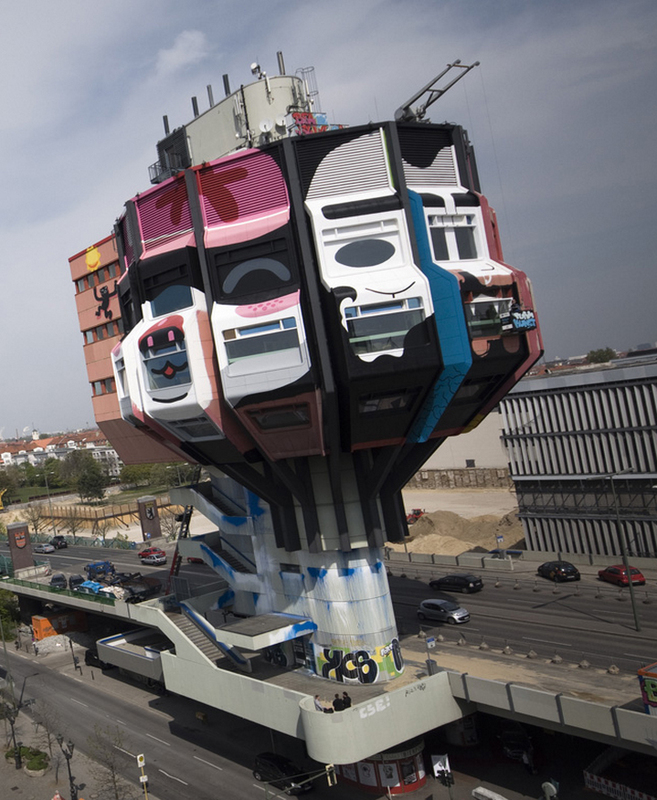 The Bierpinsel (google maps) is a 46m high Berlin building in futuristic-looking "poparchitecture" from the 70ies, designed (1972) by Ralf Schüler und Ursulina Schüler-Witte. The building is now in use (and painted) by "Turmkunst" - a collective devoted to streetart.